Enjoy the look and feel of your favorite flip-stop case lighter and the added benefitof two wind resistant blue torch flames. Use it whenever you're on the go. 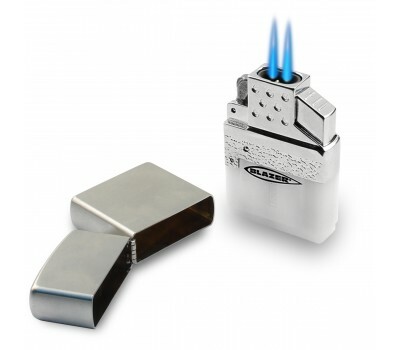 The wind resistant flames are ideal for outside use. 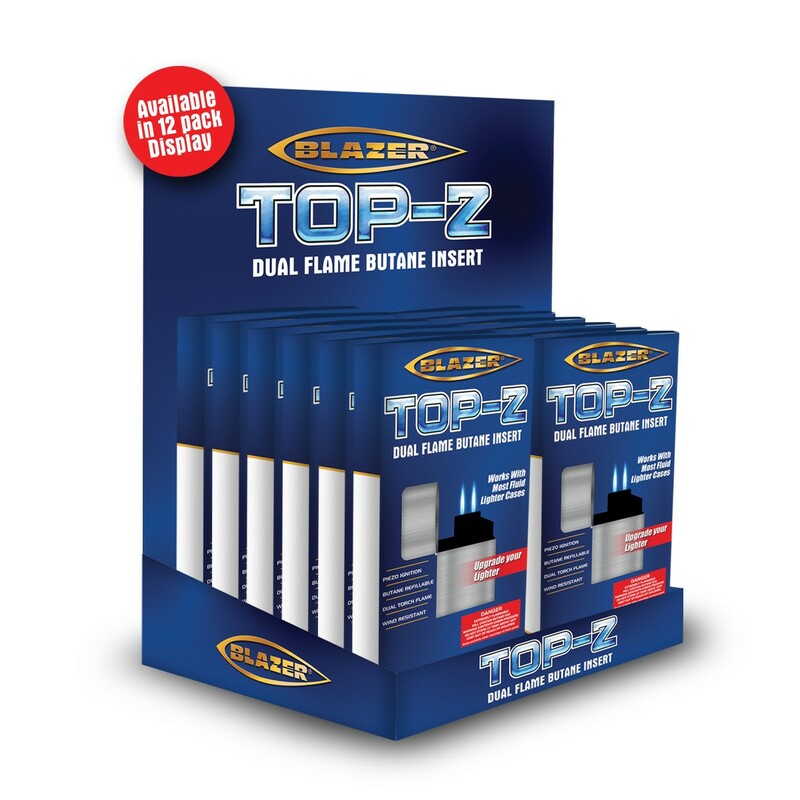 Whether you’re driving down the coast, on the beach, boating, on the golf course or just walking down the street you'll get fast reliable torch flames every time. 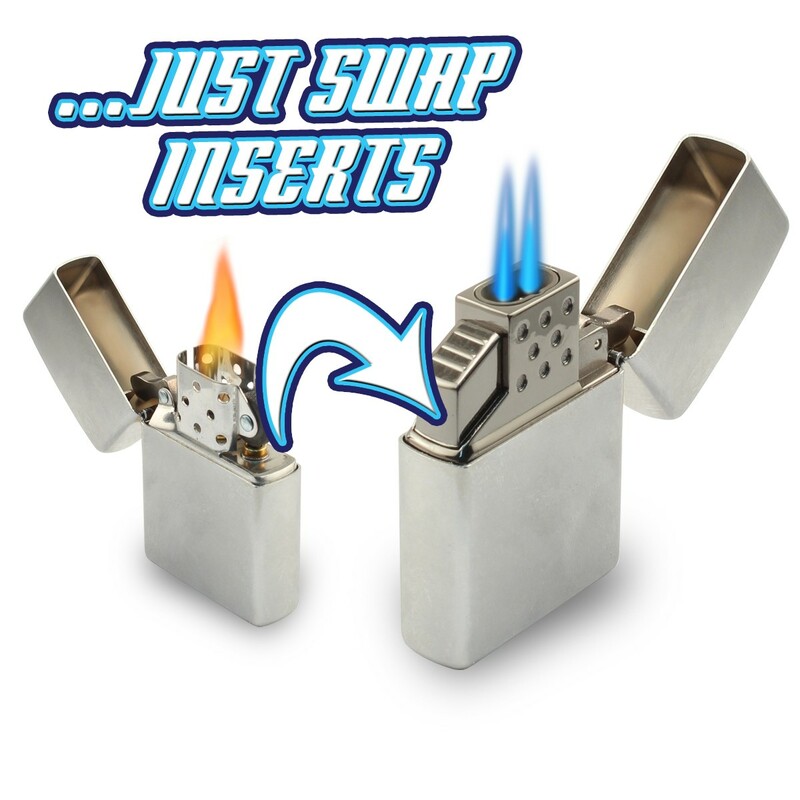 You can easily convert back and forth between a traditional flame and torch flame by simply swapping inserts whenever you would like.